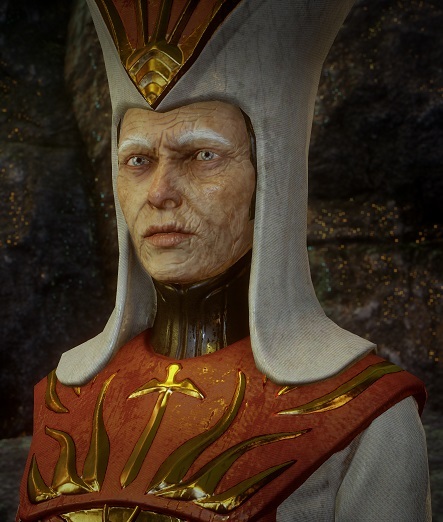 PREVIOUSLY ON INQUISITION DIARIES: With the help of Hawke and Stroud, the Inquisition convinces Stroud’s former Grey Wardens that they have been tricked by the Venatori, led by Magister Erimond, but a battle with Corypheus’ archdemon sends Lerenne and her team plummeting to their deaths. Their only hope is for Lerenne to send them into the Fade. Solas might find good times studying history in the Fade, but no Dragon Age game has made the Fade a fun and enjoyable experience. Hell, programmers have even made a “Skip the Fade” modification for DAO just to get out of running around that crazy hallucinatory labyrinth. Okay, it’s not *that* bad, but after first visiting the Fade in DAO, I rarely look forward to returning, no matter how interesting Solas makes it sound now. Unlike other ventures into the Fade, this time, Lerenne and her party are physical. Aside from the M.C. Escher moment, everyone seems to be okay. Well, everyone except Cole, the spirit who very pointedly left the Fade and is none too happy about being back. With some reassurance from Lerenne, he manages to hold it together as they make their way through to meet… the Divine? 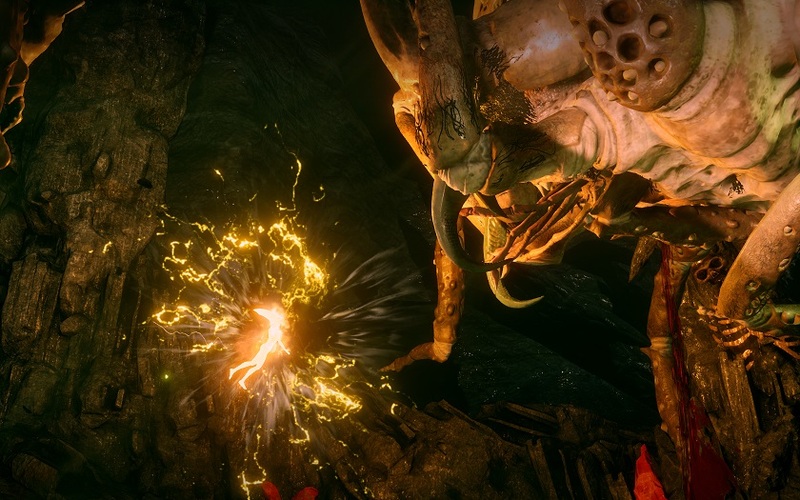 Nothing in the Fade is real, so surely this is just a demon trick, right? But whatever it is, the spirit seems to want to help and instructs Lerenne to retrieve her memories by killing demons. Lerenne pieces together the missing chunks of time to reveal that while searching for a bathroom she had walked in on Corypheus performing his ritual on the Divine with the help of Grey Warden mages. Throughout this entire mission, the Divine proves just what a badass in a robe she is. She is the one who disrupted the ritual by knocking the elven artifact out of Corypheus’ hand. When Lerenne picked it up, it created the mark on her hand, but also caused the explosion that destroyed the Conclave. The Divine and Lerenne were thrown physically into the Fade, but, just as they were trying to escape, the beasties came after them. The Divine sacrificed herself to save Lerenne, proving Lerenne’s theory that the prophet Andraste was not the woman people saw behind her when she stepped out of the Fade. She is not some precious chosen one, sent by the human god. Moments before Lerenne walks in and foils Corypheus’ carefully laid plans. The trip down memory lane is also plagued with the voice of a Fear Demon. It feeds on nightmares. Riddles along the way provide power ups for Lerenne once she helps ease the nightmares of the dreamers trapped in the Fade. The Divine’s spirit — or a spirit that embodies her selflessness — continues to lead them, until finally, they come up against the Fear Demon itself. Once again, the Divine sacrifices herself to hold off the giant spider thingie, but it returns after the defeat of the Fear Demon, blocking the exit from the Fade. And suddenly I am faced with the worst decision of the game thus far, when Hawke and Stroud both offer to stay behind. Oh Stroud. I did not know you well, but I knew you well enough to be very sad about choosing you. But I couldn’t let Hawke stay behind. She’s my Hawke! Fenris needs her! And so does Kirkwall. And also, Varric would be very, very sad. But I promise to build lots of statues in Stroud’s honour and help the Grey Wardens unsully their name. In fact, my next major decision once we exit the Fade is to determine the fate of the Wardens: exile, or service to the Inquisition. I choose the latter. Hawke parts company to reunite with her lover Fenris and to deliver news to the Wardens at Weisshaupt Fortress that we’ve been hearing about forever, but never get to see. Still no sign of my original Warden too. Sigh. Back at Skyhold, all of the companions are dealing with the Fade event in their own way. Having your worst fears thrown in your face is not exactly pleasant. Cole was told by the Fear Demon that they are alike because they steal memories from people. Cole manages to convince himself that, while they do the same thing, his intentions are good and he isn’t feeding on these memories, but he is still very frightened that a mage could bind him and use him the way the Warden mages bound the demons. He asks for Solas help to bind him because he can trust Solas, but Solas refuses, suggesting instead that Lerenne find an amulet that could protect Cole. Unfortunately, something prevents the amulet from working. Varric joins the conversation and the four of them track the “something” to the templar that tortured the original Cole and left him to die. Cole wants to murder him. 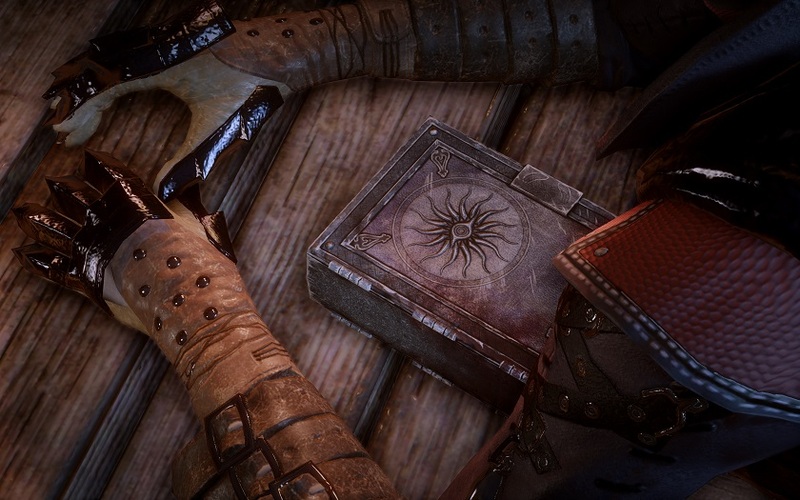 Solas believes Cole must learn to forgive, but Varric offers vengeance, which Cole takes, only to find that the feeling is empty – as is the crossbow. Cole has made himself human, now he must learn what that really means. He still feels the compulsion to help people, but he is no longer able to make people forget he was there, so Varric takes him under his wing. It’s these moments that truly make me appreciate BioWare’s writers. I have played some of their most technically frustrating games just to learn more about and spend time with these characters. They are made of pixels, but they can be so very real. And it’s not just the major characters. Seemingly random NPCs have their own story and can even lend aid to the Inquisition, while others are attached to the supporting cast but have fully realized lives of their own, such as Krem, The Iron Bull‘s loyal and brave lieutenant, as well as my precious Scout Harding, and a little band of mercenaries that could, led by the eager recruit, Sutherland. There is another big mission waiting for me, but I take the time to deal with the other companion quests first. Iron Bull offers an alliance with the Qunari, but an attack from the Venatori forces me to choose between saving the Qunari ship, or saving Bull’s mercenary group whom he loves dearly and would die for. 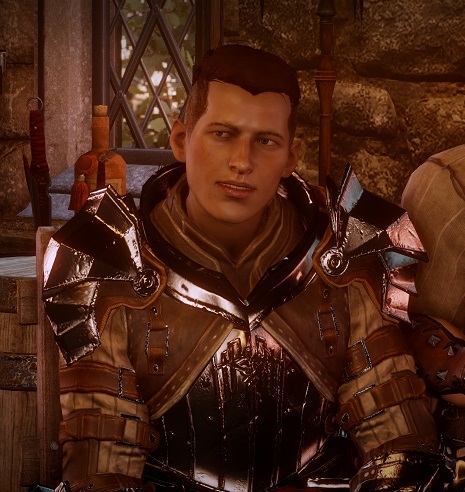 I choose the latter because how could I let Krem die?? But it means that Bull is disavowed from his own culture, becoming Tal-Vashoth, something he has fought against all his life. Cassandra searches for her fellow Seekers of Truth who are not among the templars under Corypheus’ thrall. Seekers are immune to demon possession due to a vigorous vigil that protects them, but, Cassandra learns, the real reason for their immunity is that, unbeknownst to the seekers, they are made tranquil during their vigil and then the process is reversed. Tranquility is a ritual that disconnects mages from their magic to prevent the threat of demon possession, but it also removes any emotion and ambition. 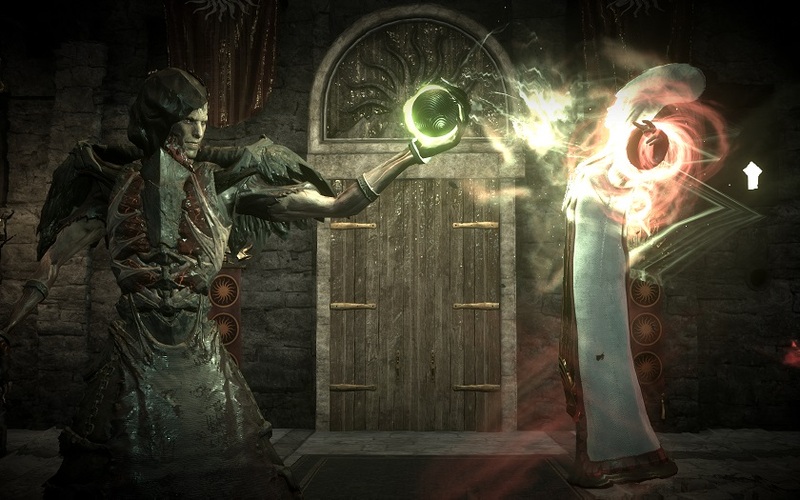 It is a process used for mages who may be too weak to resist demons, but it can also be a punishment, which Lerenne uses in judgment against Magister Erimond for his manipulation of the Grey Wardens. The fact that tranquility can be reversed is a secret withheld by the seekers. Some light, life altering reading for Cassandra. Cassandra struggles with the revelation and with how far the seekers have strayed from their original purpose as guardians over both the mages and the templars. Should she try to reform the Seekers and change them to be better, or should she let go? I was surprised to receive great approval from Cassandra when I suggested she move on, as if this was a choice she knew she had to make, but needed the reassurance. Solas learns that a spirit friend from the Fade has been captured by mages, but when we get to the Exalted Plains to save it, it has already been corrupted into a demon and its essence lost. Varric receives a visit from the designer of his crossbow, Bianca, who happens to have the same name. There is clearly some love and loss between them, but more importantly, Bianca reveals that she was the one who inadvertently led Corypheus to the red lyrium by way of a “mage” named Larius (who was not a mage in Legacy and helped Hawke stop Corypheus… so Larius has some ‘splainin’ to do). 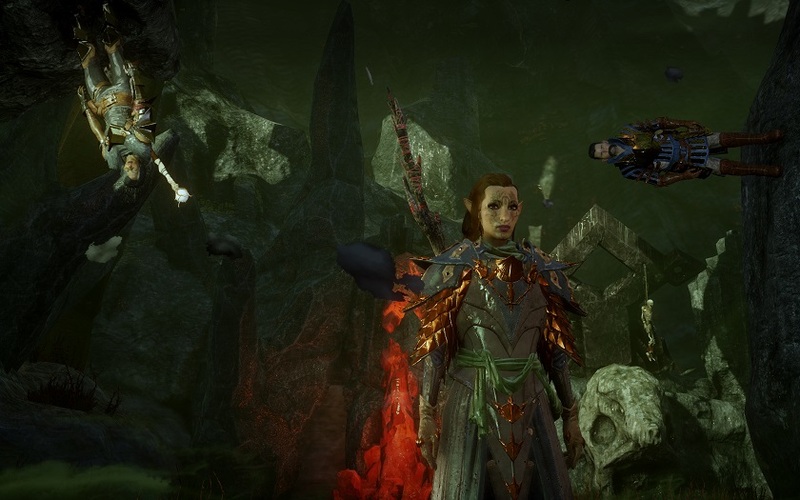 She also explains that lyrium is actually alive and the red lyrium has been corrupted by the darkspawn taint. Lyrium is also a problem for Cullen, whose rehabilitation isn’t going so well. But, while the timing isn’t so great, Lerenne encourages Cullen to stick to his guns and fight through the withdrawal. Meanwhile, Sera loses several compatriots to a noble’s scheming, and ends up greatly disapproving of Lerenne’s refusal to offer swift, stabby justice to said noble. I have not yet received personal quests for Dorian, Blackwall, and Vivienne, but I think that’s more than enough depressing moments to weigh me down for now. It’s definitely time for a party. Is that really a soulDecision reference in the title? I’m impressed. I think.